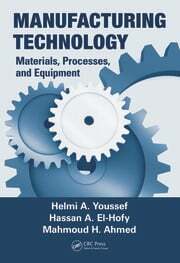 The book presents a compilation of research on meso/microforming processes, and offers systematic and holistic knowledge for the physical realization of developed processes. 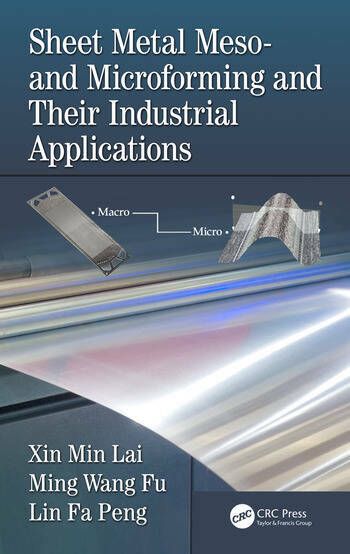 It discusses practical applications in fabrication of meso/microscale metallic sheet-metal parts via sheet-metal meso/microforming. 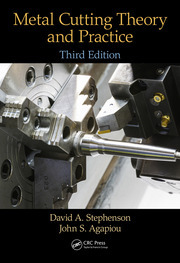 In addition, the book provides extensive and informative illustrations, tables, case studies, photos and figures to convey knowledge of sheet-metal meso/microforming for fabrication of meso/microscale sheet-metal products in an illustrated manner. Xin Ming Lai is the Changjiang Scholar Chair Professor at School of Mechanical Engineering, Shanghai Jiao Tong University (SJTU). He received his B. Eng and M. Eng in Mechanical Engineering from Hebei Institute of Technology and PhD in Mechanical Engineering from Tianjin University in China. He had worked in Hebei Institute Technology as a faculty member for seven years and conducted many projects funded by governmental agencies and industries. In 1999, Prof. Lai joined SJTU as a faculty member and was promoted to associate professor. One year later, Prof. Lai had visited Shien-Ming Wu Manufacturing Center in University of Michigan as a senior visiting scholar. In 2001, he was promoted to full professor of School of Mechanical Engineering. Prof. Lai has been engaging in the research on micro/meso manufacturing process, new energy device development, assembly modeling of sheet-metal product, digital manufacturing of auto-body, etc. Now, He is the director of Shanghai Key Laboratory of Digital Manufacture for Thin-walled Structures, the member of auto-body technology committee of Society Automotive Engineering (SAE) China. Prof. Lai has been granted five national and provincial awards, such as National Award for Science and Technology Progress, Shanghai Award for Science and Technology Invention etc. He also successively obtained Scholar of Shanghai Shu Guang Training Program, Distinguished Young Scholar of Ministry of Education New Century Outstanding Young Professors Promotion Program, and First Prize of General Motors Innovative Talent Award. Prof. Lai has already published more than 80 SCI academic articles. He also has been granted more than 30 patents. He has been responsible for 863 projects, National Natural Sciences Foundation programs and international joint research projects. Dr Ming Wang Fu received his B.Eng and M.Eng in Materials Science and Engineering from the Northwestern Polytechnic University in Xi'an, China, and PhD in Mechanical Engineering from the National University of Singapore, Singapore. Before he went to Singapore for his career development, he had worked in China as a faculty member and conducted many projects funded by governmental agencies and industries. In 1991 and 1994, he received the honorary awards of Outstanding Young Teacher and Outstanding Teacher from the Ministry of Aeronautic and Astronautic Industries of P. R. China. During his eight and a half years tenure of the faculty appointment in the Mainland China, he was promoted to associate and full professor via the fast track promotion scheme in 1992 and 1995, respectively. In 1997, he joined the Singapore Institute of Manufacturing Technology as a Senior Research Engineer. In Aug 2006, he joined the Hong Kong Polytechnic University as a faculty member. His research endeavors include integrated product and process design and development, metal forming technologies, dies and molds CAD, micro-scaled metallic product development and processing of advanced materials, including Ti-alloys and bulk metallic glasses. Dr. Fu is a Senior Member of Society of Manufacturing Engineers (SME). He is also sitting in the editorial board of the longstanding Int J of Advanced Manufacturing Technology (SCI journal), the Chinese Journal of Mechanical Engineering-English (SCI journal), and the Chinese Journal of Mechanical Engineering-Chinese. Dr Fu is also serving as an invited reviewer for many SCI journals, prestigious project awards, and funding applications. He has over 140 papers published/accepted by SCI journals and three monographs arising from his researches. The latest one will be published in the beginning of 2015. In addition, his paper in micro-forming was awarded the Outstanding Paper in the 7th International Conference on micro-manufacturing, Chicago, USA, 2012. His another paper entitled "Dimensional accuracy and deformation behaviors in meso-scaled progressive forming of two-level flanged parts" was awarded "Honorable Mention Paper Award" in the 4M/ICOMM2015 organized by the 4M Association and the International Institution for Micro-manufacturing in Milan, Italy, 31st March to 2nd April, 2015. His original contribution paper entitled "ductile fracture: experiments and computations" published in International Journal of Plasticity in 2011 is listed as the Highly Cited Paper in ISI web of Knowledge. Dr. Lin Fa Peng is an associate professor at the Mechanical School of Shanghai Jiao Tong University. He received his B.Eng and M.Eng in Materials Science and Engineering from the Jilin University in Changchun, China and PhD in Mechanical Engineering from the Shanghai Jiao Tong University, China. In 2010, he joined the Mechanical School of Shanghai Jiao Tong University as a faculty member after he finished two-year postdoctoral research work. 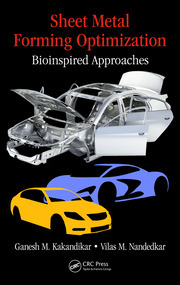 His research specialties include material processing technology, micro/meso forming, process modeling & optimization. Currently, he focus on the mechanics analysis of deformation processes at micro/meso scale, material characterization of metal materials, forming process design and its application. Dr. Peng has been funded by 3 projects from National Science Foundation of China (NSFC) as PI, and participated in 2 key projects from NSFC and 3"863" projects. He has published more than 40 papers in SCI journals and has been granted by more than twenty Chinese patents of invention. Besides, he received 2011 National Excellent Doctoral Dissertation Award Nomination and was sponsored as 2012 Shanghai Rising-Star by Shanghai Municipal Government. In 2015, he was supported by National Natural Science Foundation--Outstanding Youth Foundation and also win the first prize of Natural Science Award by the Ministry of Education of P. R. China.